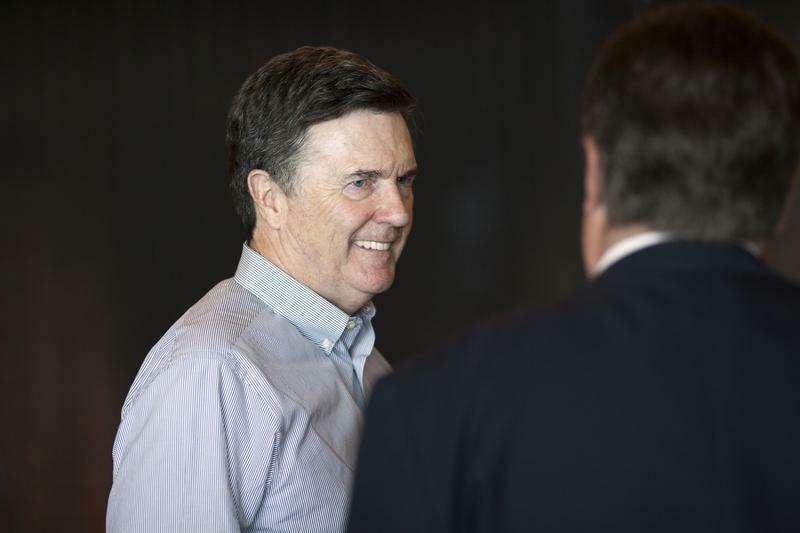 ATLANTA (Reuters) - The U.S. economy is motoring ahead in its recovery, likely putting the Federal Reserve in position to raise interest rates by the middle of the year, Atlanta Fed President Dennis Lockhart said on Monday. In some of his strongest comments to date about the direction of the economy, Lockhart said the U.S. economy "is hitting on all cylinders." In remarks to the Rotary Club of Atlanta, Lockhart said his expectation is that reasonably strong growth will continue through 2015, unemployment will fall, and inflation will eventually begin to rise - a set of conditions that should allow the central bank to raise rates by the middle of the year. But even if inflation remains stuck below the Fed's 2 percent target, Lockhart said the time may be approaching to raise rates, as long as the pace of price increases does not begin a steady downward slide. Likewise with the economy's current disappointing wage growth, he said. Given the conflicting signals and "noise" in the data, Lockhart said the absence of bad news may clear the way for the Fed to hike. The Fed's decision "will either be informed by some positive indicators or the absence of negative indicators," Lockhart said. "It will be the absence of losing ground, as might be suggested by a run of core inflation numbers that are declining." The comments from a Fed centrist give an important insight into how the central bank is steadily moving toward its first post-crisis rate hike. The initial increase will still leave interest rates low, and they are expected to be increased only slowly toward what is considered a neutral level. That means years more of economic stimulus are ahead. But the moment of liftoff will be "momentous" said Lockhart, who is among the regional Fed presidents voting this year on the central bank's policy-setting committee. "There was more improvement in labor markets in 2014 than in any other year of the recovery," Lockhart said. Meanwhile, consumers "seem to be more prepared to open their pocketbooks." The major risks may be outside the United States, Lockhart said, with weak global growth, the collapse in oil prices and other factors complicating progress toward the Fed's inflation target. He said low oil prices will eventually be a great benefit to the U.S. economy, though for now it may leave the Fed with "considerable ambiguity" over whether its inflation goals will be met in a reasonable time frame.